Recently Ruby was so cross with me and told me that she hated me. I don’t blame her really. She has so many people prodding and poking her and so many medicines to take. She has had enough. I’ve had enough. I had to come up with someone or something else to blame. My shoulders are broad but I am tired and emotional and can’t take on the ‘punching bag’ role. We spoke with the doctors in the morning and I told them that Ruby is cross at me for the recent blood test. 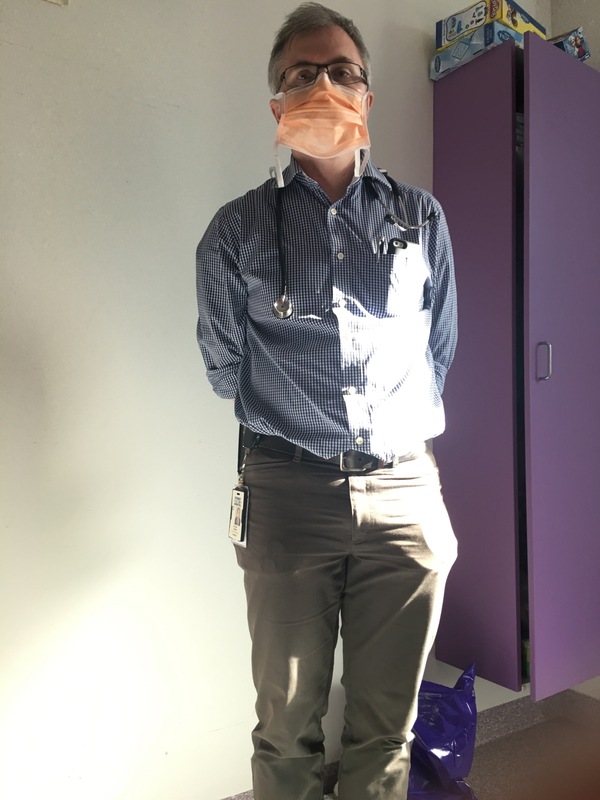 The doctor said “don’t be cross with mummy why not blame Toby?” Toby is the head oncologist who was not in the room at the time. I thought to myself we can’t blame Toby as he is the brains behind Ruby getting well. We can’t blame me as I just want love not hate. We can’t blame daddy, he is the one keeping us laughing and bringing us food. So I looked around the room and saw Naughty Bear. 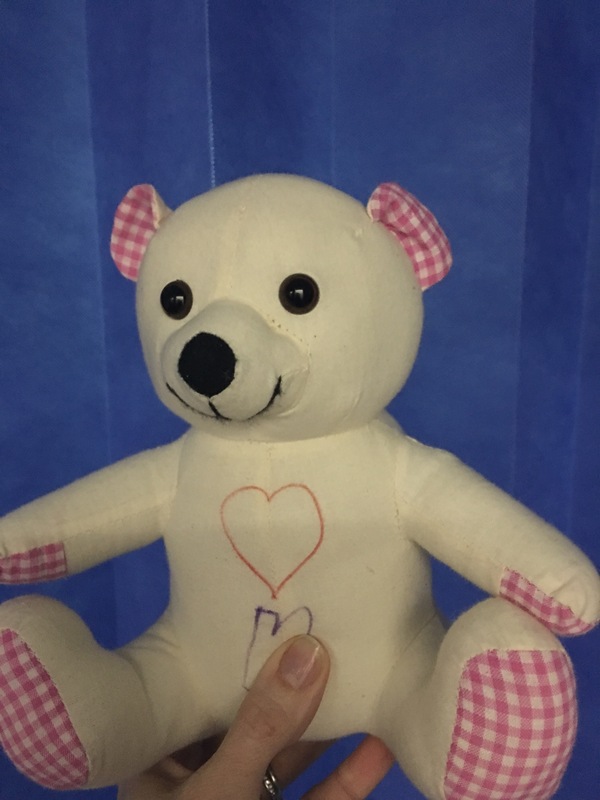 A volunteer had given us this white bear that we could draw on. I immediately thought let’s blame Naughty Bear. We wrote on the bear “Naughty Bear” and now whenever something happens that Ruby does not like. 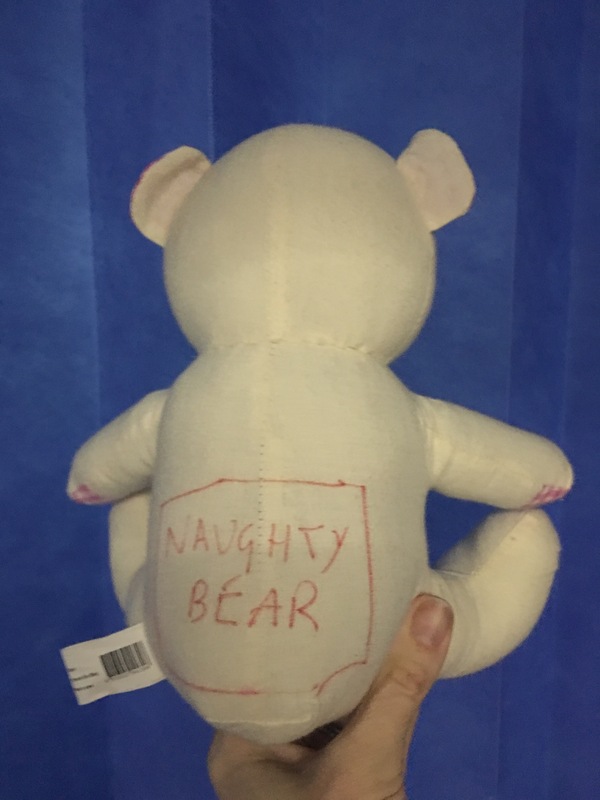 From ct scans to blood tests to medicines to anything really, we throw Naughty Bear against the wall or ceiling. It makes us laugh. And gets rid of the sadness. What a genius idea I say! Ha ha.